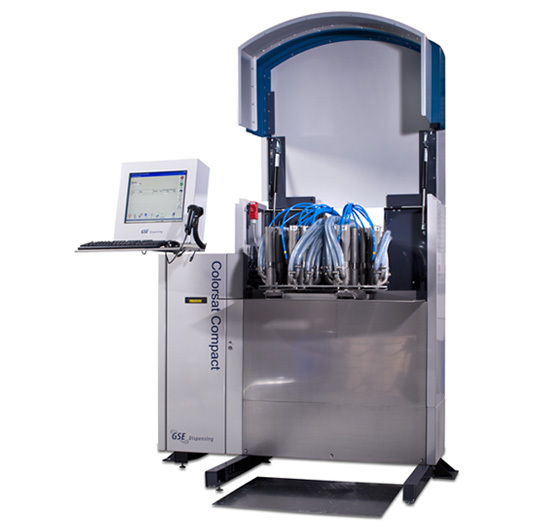 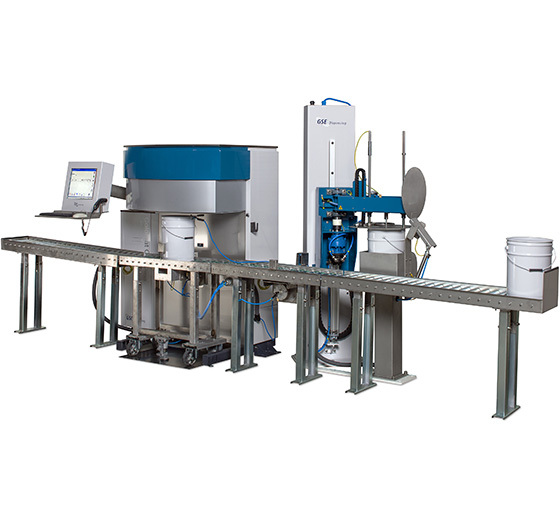 The high version of the Colorsat Compact is a flexible, high speed work horse for the packaging and wall covering printer. 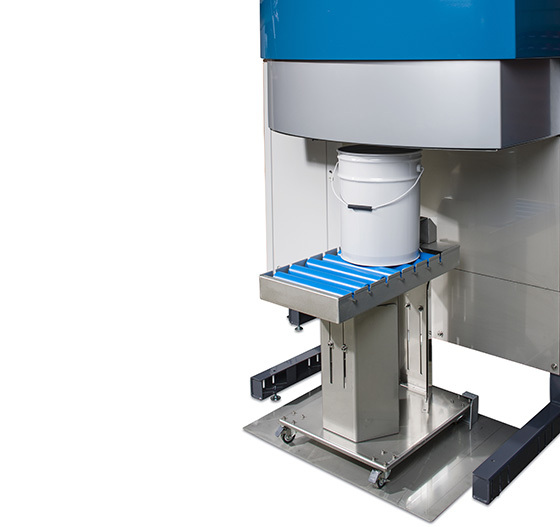 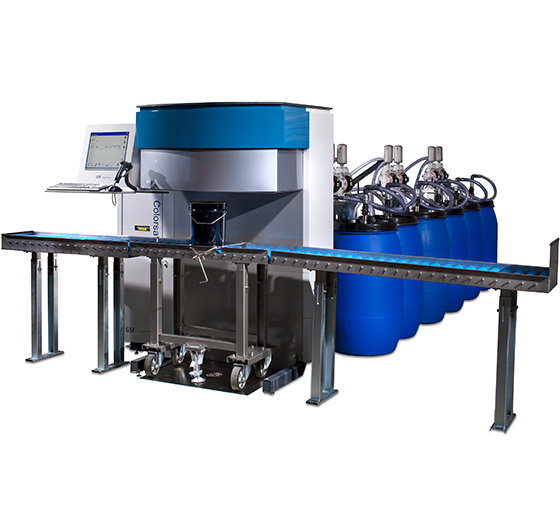 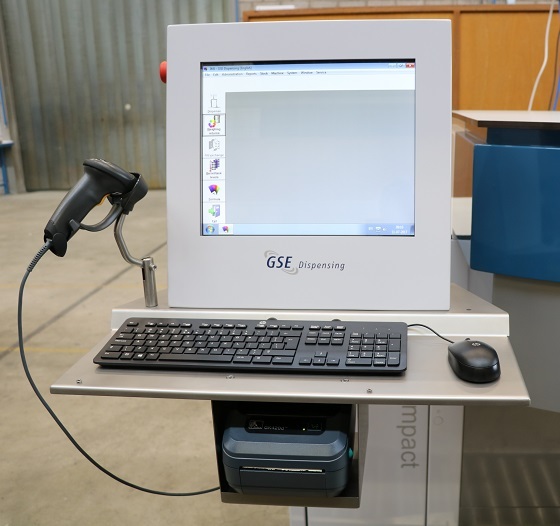 From a standard specification, which gives access to precise, high speed dispensing, the Compact High offers a host of optional extra functionalities. 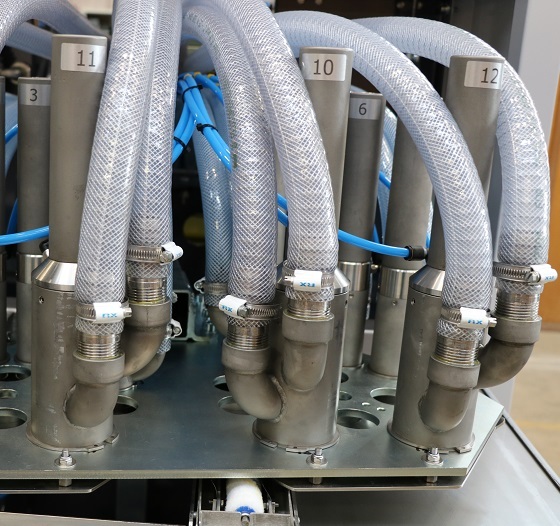 The system accommodates up to 32 water-based or solvent-based base components and 2 on/off water or solvent valves. 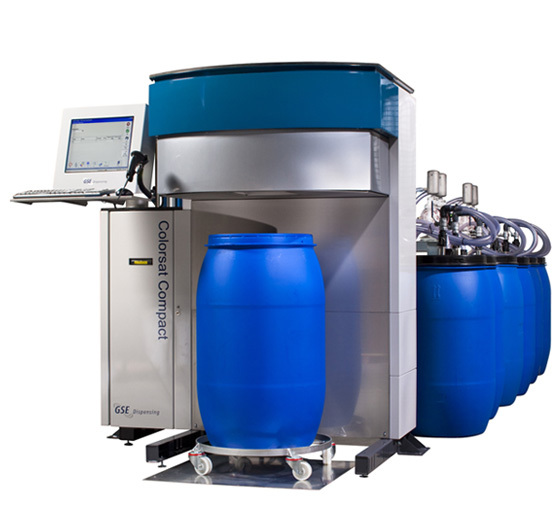 Colorsat Compact High systems are faster than ten minutes for a recipe of 175 kg with 4 components.